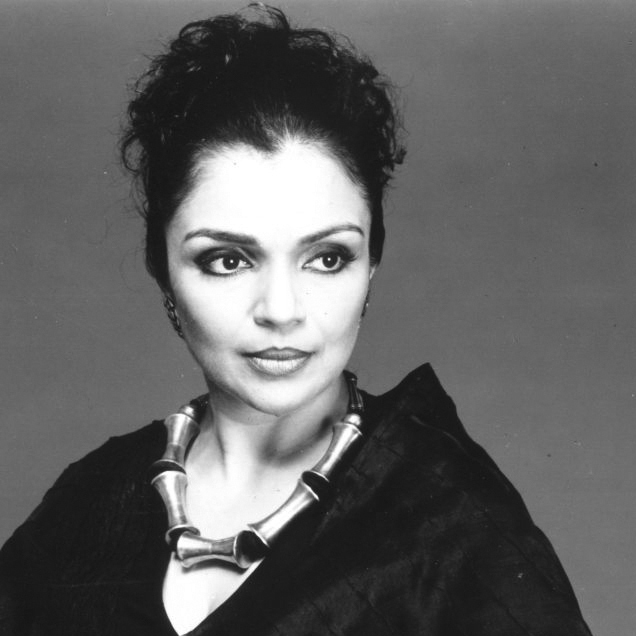 Anita Ratnam, a recipient of the Sangeet Natak Akademi Puraskar for Contemporary Dance for 2016, started out as a classical dancer when she made her stage debut at age nine. She decided to stop giving performances when she was approaching twenty, when she went abroad. After that, she did not dance for more than ten years. When she returned, she ended up creating a new idiom of dance and winning awards on the way. Anita Ratnam belongs to the TVS family, a pioneer in many ways. The family was steeped in tradition when Anita was growing up. Her mother, Leela Ratnam, who would have loved to learn to dance but could not because good girls didn’t those days, made sure her daughter did. Anita had her early training under Rajee Narayan who taught her Bharata Natyam, items in Kathak and Manipuri and the plate dance. Her grandfather, T.S. Rajam (her father’s father), did not approve of her dancing in public. The patriarch was seriously annoyed. However, her mother and guru supported her and she did not stop dancing. After her arangetram in June 1964, Anita’s guru moved to Mumbai. Her mother sent her to train under Adyar Lakshman. She was twelve then. Anita did not just dance. She enjoyed sport just as much. She played tennis so well that if she had taken it seriously she could have gone places. She went hiking and swimming, and, as she puts it, her body was at play most of her waking hours. Her guru Lakshman wanted her to give up every physical activity other than Bharata Natyam. “He wanted me to be more feminine.” But even then dance was not enough for her. “There are so many things to love in life.” All forms of creative and performing arts fascinated her: she was fully involved in school and college activities, she performed in plays, theatre was going to become a lifelong passion. Anita danced at the Music Academy in 1971 when she was just 16. The audience included icons like T. Balasaraswati and M.S. Subbulakshmi. Anita was also learning Mohini Attam from Chinnammu Amma and Kathakali from Balasubramanian of Kalamandalam, both famous teachers. “When I did Mohini Attam, my body felt free. Kathakali helped animate my face.” She had already begun to work on making her performances more interesting. She possibly did not realise it then that all these learnings were drawing her to contemporary dance. Contemporary dance is not Modern Dance though it may have elements of it. It combines features of several dance genres. 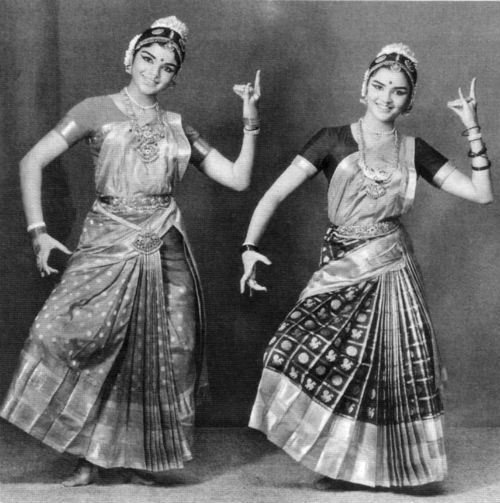 It stresses versatility and improvisation, unlike the strict, structured nature of classical Bharata Natyam. Contemporary dancers strive to connect the mind and the body through fluid dance movements. Anita recognised that she was a performer, liked being on stage and enjoyed all the attention it brought. She was a quick learner. However, she started rebelling when she was around 19 or 20. “Although my mother didn’t discourage me from doing anything I wanted, my life was managed by her.” Anita wanted to break free. She was able to do that when marriage took her to the U.S. and to New Orleans. “It is a fabulous city.” She explored the various possibilities available in this vibrant city. When she went to the drama school at the university, Anita felt she belonged. She met the students and teachers and decided to pursue her M.A. in Theatre and Television from the University of New Orleans. She was the first student for whom the RBI released funds to study theatre abroad. Anita literally lived in the theatre department, auditioning for every play produced, soaking in the atmosphere and absorbing everything that was going on around her. For ten years, she did many group productions such as Gajanana and Panchajanyam. Purush, the all male production, was a spectacular success. “My theatre experience helped me animate the performances.” “How should a mature woman look on stage? I worked with young designer Sandhya Raman on costuming. I had to build a small community of creative artists. Classical pianist and composer Anil Srinivasan, singer Vedanth Bharadwaj, were all people I worked with. There is very little collegiality in the dance world unlike theatre.” She curated and was the Co-Artistic Director of The Other Festival – a contemporary arts festival – with cutting edge performances, brought for the first time to Chennai. Although full of ideas, Anita realised that her mind was hyperactive. “I am a better performer than a choreographer.” She needed to collaborate with people she was compatible with. In 1996, she met Hari Krishnan, internationally respected dancer, choreographer, teacher and dance scholar based in Canada and the U.S.A. and costume and visual designer Rex. They started working together. 4409Government smile for Madras Day? Government smile for Madras Day? 4415Conservation promised, but where’s the mind-set? Conservation promised, but where’s the mind-set? 4465What do you know about Madras? What do you know about Madras?